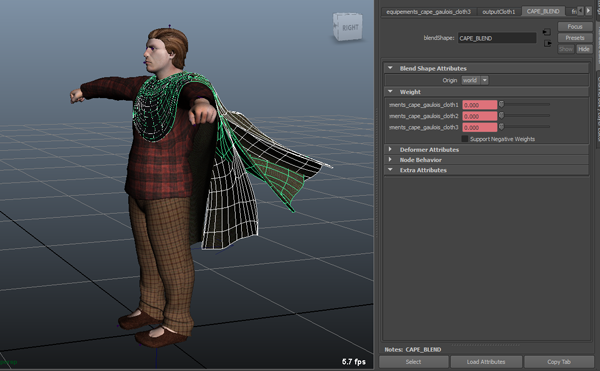 Since its version 3.3, Golaem Crowd supports Maya Blendshapes animation. It can be conveniently used to do facial, muscle deformer and also cloth animation. 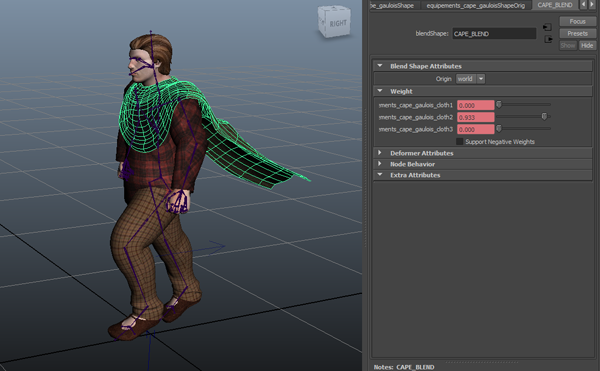 In the following tutorial, we'd like to animate the cape of a soldier character. Once defined in the Character File (.gcha) and the motions files (.gmo), blendshapes are ready to be used in a simulation. As their animation in stored in a motion file, they can be played and applied either with a Motion, a Locomotion or a SyncMotion behavior. Blendshape animations can be blended with different weights, deactivated / activated on some Behaviors with Body Masks like any bone animation. Simulation of a Character with blendshapes. To see the animated values of a Blend Shape, either open a Motion Clip with the Motion Clip Preview Tool, check the Visual Feedback of an Entity. Rendering does not require anything more. 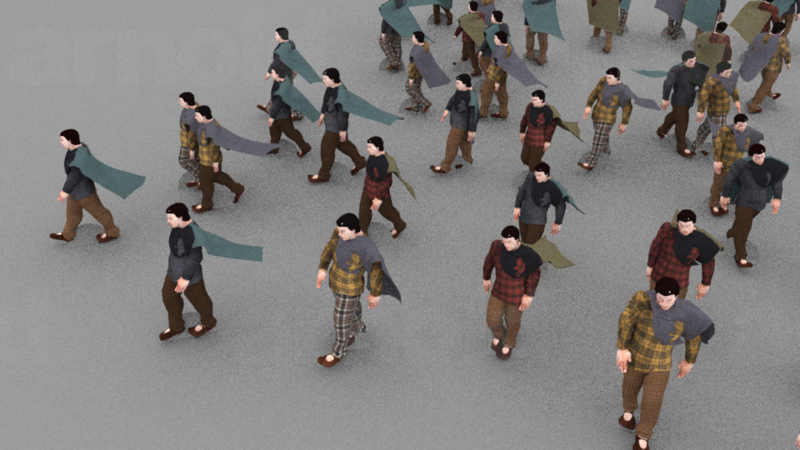 As blendshapes values will be stored in the Simulation Cache, they'll be automatically applied to the final geometry of each soldier.